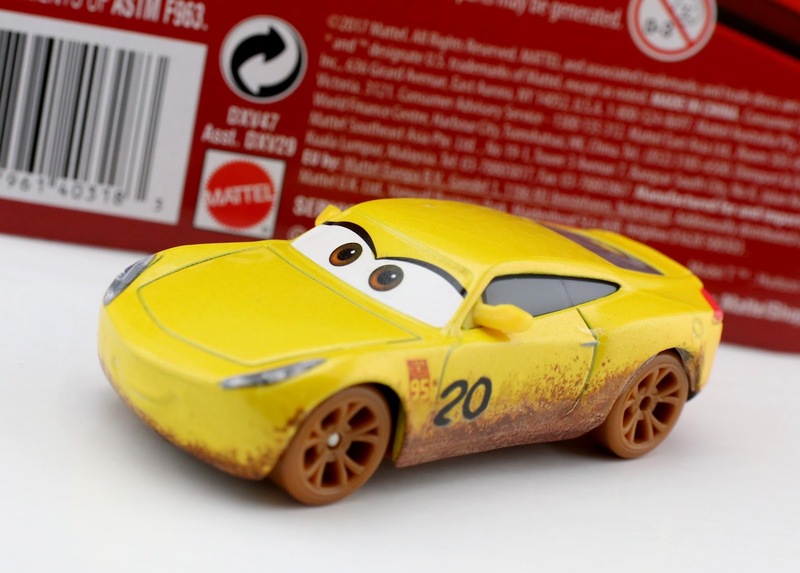 Here's another Cars 3 Mattel 1:55 scale diecast that I was super excited to find recently...Cruz Ramirez as Frances Beltline! Or as Miss Fritter calls her, Lem-o-nade. Again, this one has been out for a little while now, but it has just hit my area. I found this Cruz at Target over the weekend, but it wasn't in the normal Cars section. I just happened to be be wandering around the store after checking the toy isles and stumbled upon a big stand alone fixture near the escalators (over by the kids' clothes)—not even close to the toy section! And there she was. That was an unexpected and random surprise. I'm so happy to finally have this version of Cruz! My collection of Thunder Hollow Crazy 8 contenders was most definitely feeling her absence. I couldn't complete/recreate the classic scene without this one. Now she'll go perfect with all the others, especially my "Chester Wipplefilter"! Check her out! Like always, look at that amazing detail. The dirty tires and splats of mud are just perfect. The only thing I wish was different is her facial expression. She's smiling when she should have a scared or worried look about her (as shown in the screen shot above)! I don't think she ever smiles during that scene, but I think what Mattel did was just repaint the normal sculpt of Cruz to cut costs. Not a huge biggie, but a little nitpick for sure. 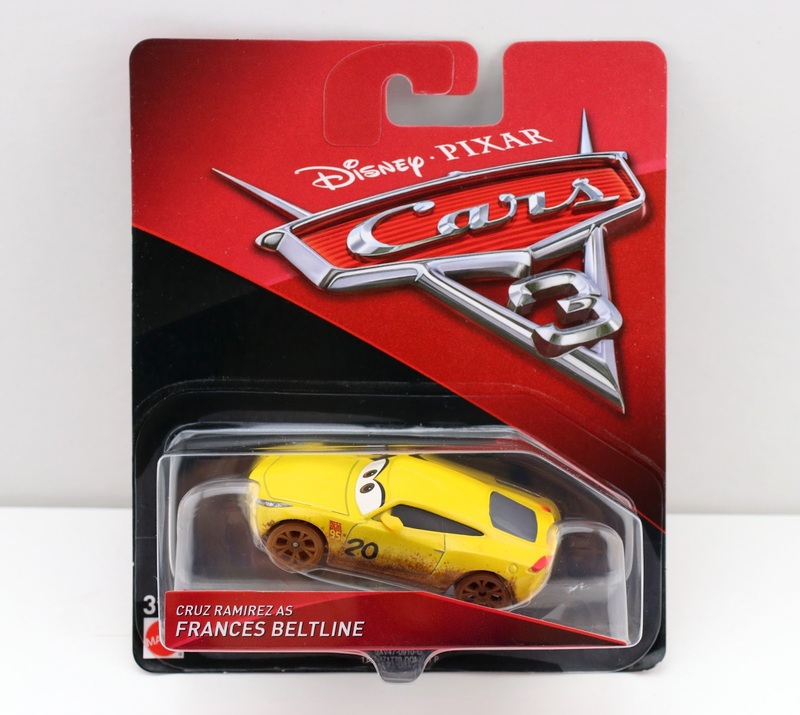 If you're a diehard Cars collector, then you know there is also a "Super Chase" out there called "Cruz Ramirez as Crazy 8 Frances Beltline." What's crazy is is that it's basically the same as this one, so I have no idea why it was made in the first place, let alone released as a Super Chase. Not even the expression is different! That would have made sense. See the comparison of the two on Take5aDay's site HERE. 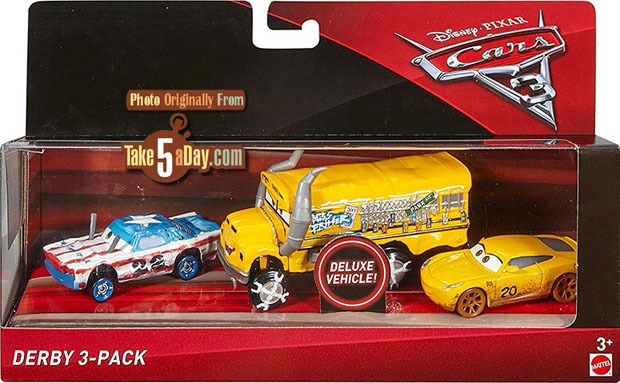 Other than this single pack release, this same Cruz as Frances Beltline is also currently available in a Walmart exclusive "Thunder Hollow 5-Pack" (seen HERE), and a "Derby 3-Pack" (seen HERE). Best of luck finding her in stores, but if you're still having trouble, be sure to check current eBay listings using this direct link or Amazon using the link below.